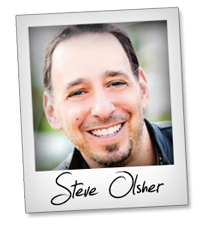 Welcome to the JVNP 2.0 Weekend Update, featuring a primary JV invite courtesy of fellow JVNP 2.0 Partner Steve Olsher (Profiting From Podcasts 2019 podcast training & promotion launch high ticket affiliate program JV invite), Buzz Builders (Jason Katzenback + Mike McClary – How To Build Your Own Profitable Business On Amazon In 6 Months Or Less Webinar launch), and More … in Today’s most comprehensive podcast training available edition. If you’re a proven high ticket seller, we’d really appreciate your support on our upcoming launch (April 15-29). We know you have a LOT of launches to choose from. PDF 1 – Monday, April 15th 2019. PDF 2 – Thursday, April 18th 2019. PDF 3 – Saturday, April 20th 2019. Promote Webinar 1 – Monday, April 22nd 2019. Webinar 1 – Tuesday, April 23rd 2019. Webinar 1 Replay – Wednesday, April 24th 2019. Official Cart Open – Thursday, April 25th 2019. Live Webinar 1 – Friday, April 26th 2019. Live Webinar 2 – Saturday, April 27th 2019. Live Webinar 3 – Sunday, April 28th 2019. Cart Close – Monday, April 29th 2019. We also know you care a great deal about your peeps … helping them get the visibility they deserve, to share their mission and message with the masses, through leveraging the incredible power of podcasts (and understanding how to monetize it!). Proven High Ticket Sellers, If You’re Not Already a PFP Affiliate, Please Register Here. – About the tremendous opportunity the world of podcasting offers as both a host AND as a guest… and the pending (and current) explosive growth of the medium. 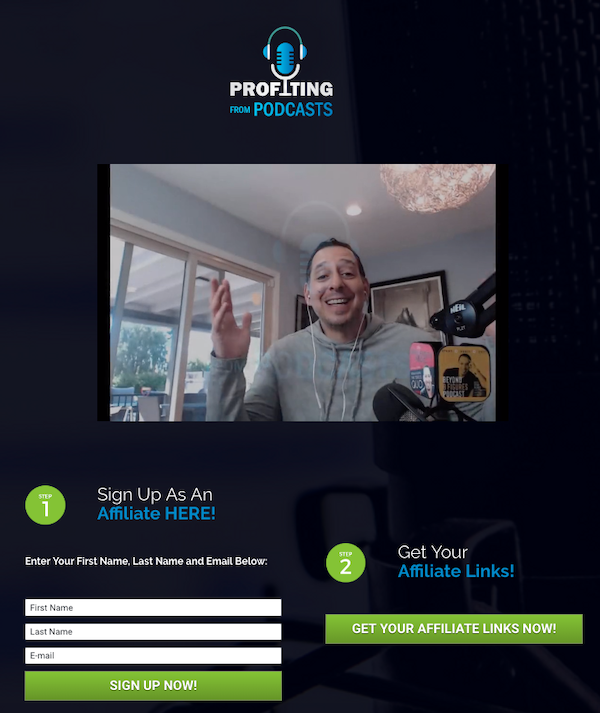 – How to connect with today’s leading podcasters and appear as a guest on their shows. – Why podcasting is the best option for reaching a LOT of ideal prospects… FAST… and at NO cost. – Proven strategies for being an engaging guest, enrolling listeners and monetizing one’s visibility. Profiting From Podcasts is the most comprehensive training available on the medium as clients receive 2 COURSES for the price of one (Profiting From Podcasts AND Launch Your Podcast!). Simply stated — it is the ONLY training available today that covers both sides of the microphone — being a host AND being a guest. – ALL IN, THEY’LL RECEIVE OVER $14,000 OF HIGHLY ALIGNED, TRAINING & BONUSES THEY’LL ACTUALLY USE! We’re absolutely doing whatever we can on our end to crush this for you. How? 1) We’ve created ALL NEW pre-launch vids (and a new sales vid) and they’re awesome. All we ask, if you decide this JV offer is for you, is to go ‘all in’, and commit to doing more than just mailing your list and, instead, getting clear on what YOUR launch goals are and doing whatever it takes to make that happen. If you need anything at all, please keep our info close by. Grab 50% Commission Throughout the Funnel + JV Contest Prizes. For Complete Product and Launch Details Visit the JV Page => Firas Alameh, Tom Yevsikov + Usama Waleed – ReachTreat JV page. On Monday, March 25th @ 7 PM CST We’re Showing Complete Amazon Beginners How to Build a Business From Scratch in 2019 … Bootstrapped! Affiliates are excited about the commissions rolling off the back of these free webinars. If you’re a proven high ticket seller, and not already an ASM affiliate, gain access to your promo tools here => Jason Katzenback + Mike McClary – How To Build Your Own Profitable Business On Amazon In 6 Months Or Less Webinar affiliate registration. Sean Donahoe, Todd Brown, Travis Stephenson, Terry Dean + Frank Garon, and other fellow JVNotifyPro 2.0 partners are waiting in the wings … keep your eyes on your Inbox, and follow the action in the JVNP 2.0 Premium VIP JV Announcement archives.